I don’t know the quantity of power supplied in South Africa, Kenya or Morocco. I could find out via google. My point is their citizens are not expected to know. On the other hand in Nigeria, citizens are regularly updated on the quantity of MegaWatts supplied. I can’t tell you how embarrassing this is. PM NEWS has reported that quantity supplied has only gotten worse, not better for Nigeria as electricity output crashed to an all time, historic low of 727 megawatts. When on Friday, the permanent secretary of the Ministry of Power said the output had plumetted to 1,327 MW, Nigerians thought they had reached the nadir. But now things have gotten even worse. According to The Nation newspaper, the collapse at the Shiroro Power Plant was the cause of the latest generation plunge. Shiroro is a 600MW hydro electric plant on River Kaduna in Shiroro, Niger State. Abuja, Kogi, Nasarawa and Niger states are experiencing an unprecedented load shedding. The Abuja Electricity Distribution Company (AEDC) has only 15 Mega Watts (MW). “Up to about 18.50hours (or 6.50pm), only sensitive installations within the Central Business District of Abuja are on electricity supply,” a source said. The situation is the same all over the country. In Lagos, offices, including TheNews group have either shut down or scale down operations because they could not get diesel to power their generators. Where available, it is being offered at N500 per litres. 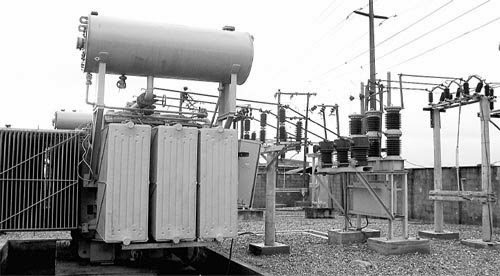 The Nigerian Electricity Regulatory Commission (NERC) said 18 of the 23 power plants in the country are unable to produce electricity due to shortage of gas supply for the thermal plants. I even dont like when I read electric distribution news. You know in Turkey today there is election and every elections some wrong thin happen I dont know its real or not but someone say people make scam at the alection. But I know Nigerian people are not like that they are good for such thing. Have nice day, your news website helpful for worl show to Nigeria. Hi from American online games website owners.